I started my career as a software engineer in Altera Corporation (now part of Intel Corporation) back in my home country, Malaysia. It was 2010 that I took a sharp turn in my life to further my study as a Doctoral candidate in Tokyo Institute of Technology. I spent some years to research about multiprocessing IO system, targeting Linux kernel architecture. With the opportunity of research project collaboration, I returned as an Embedded System Engineer in a company located in Tokyo, and it was then in 2018 Feb that I joined LeapMind as a Hardware Engineer. What are you responsible for at LeapMind? As a Hardware Engineer, I am in charge of FPGA/ASIC development to accelerate our deep learning solution. Keeping a constant growth and having continuous skill sharpening are also parts of my responsibilities as an engineer in LeapMind. It is my mission to seek for constant breakthrough to achieve the best accelerator, together with my team members in LeapMind. What made you decide to join LeapMind? It was the potential of LeapMind to excel as a future AI outstanding company that attracted me to join LeapMind. LeapMind comes with a great vision and I was impressed by the strong faith and passion that hold by the CEO of LeapMind. On top of that, LeapMind is a company with multinational environment. LeapMind accepts talents from worldwide and aims to be an international company. As an engineer, it is important for me to have creative and innovative idea to come out with fast and quality solution. Teamwork is a significant element to join the intelligence and forces of the team members in order to achieve the best outcome. It is also important to me to keep improving myself in term of technical skills and soft skills so that I could be a contributive member in the team. Last but not least, in order to have the best physical and mind state in work, the flextime system in LeapMind is such a merit for me as I am an extreme early bird. With the minimum required core time, I can work more productively and leave office as early as 3.30pm. This is really important for me to keep a work-life balance healthy lifestyle, especially to avoid the stress caused by the train peak hour congestion. What inspiration do you get from the members around you? There are always role models around me in LeapMind. There is a very particular team member of mine that has impressed me with his passion in his work, his professional soft skills, and his amazing engineering skills despite his young age. Above all, it is his positive attitude that makes him a valuable engineer in LeapMind. I also get inspiration from the leaders in LeapMind, as they dare to challenge the great vision. There are always something to learn about from each member in LeapMind, and I will continue treasuring for it. What do you think about LeapMind? 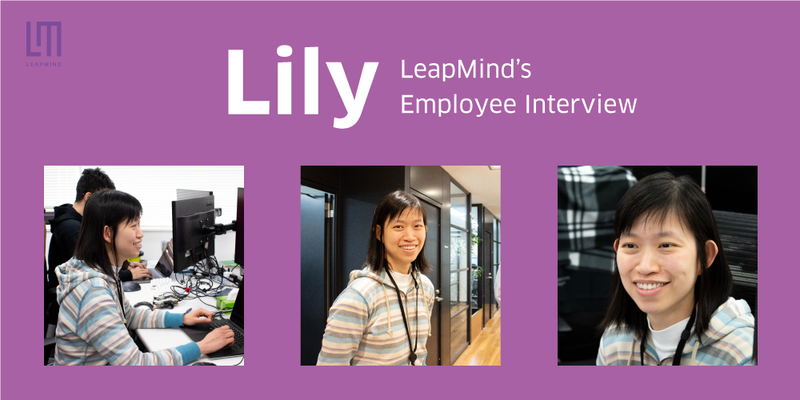 I’ve been enjoying working with LeapMind since I joined the company. We have nice and cool members in LeapMind, and I really enjoy working with my team members. There are always space to grow in LeapMind since we deal with the cutting-edge technologies and we are always free to try our new ideas. The working atmosphere is really great here as members are willing to help each others, to share their knowledge and skills, and also to share the happy moments together.